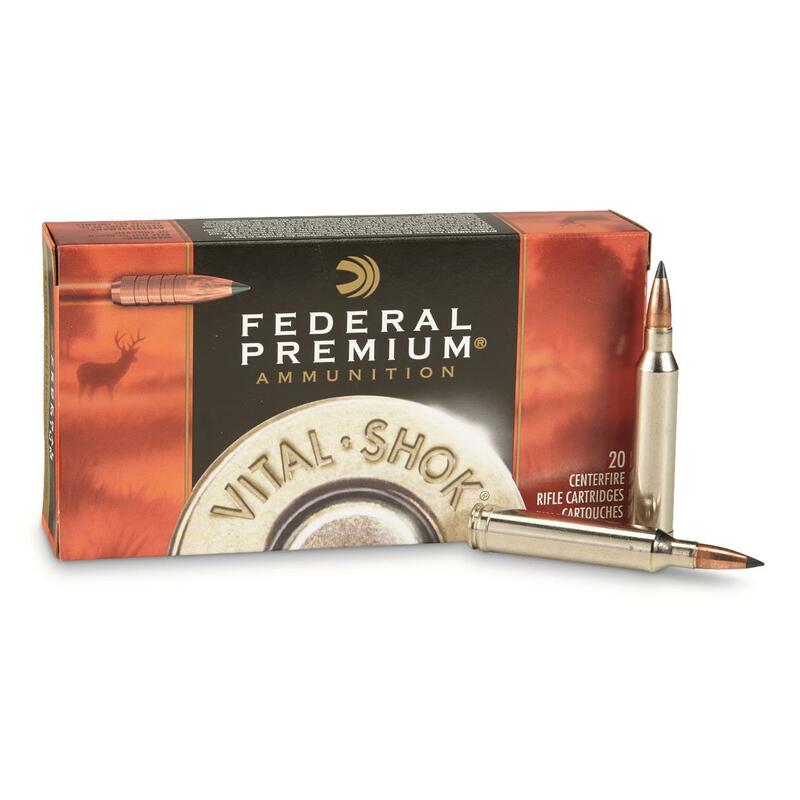 Loaded with premium hunting bullets and matched with the highest quality powder, primers and brass, Vital-Shok® Rifle Ammo gives you the confidence needed to make the shot of a lifetime. The Trophy Copper boat tail bullet is designed to provide devastating downrange performance through extreme accuracy and 99% weight retention -- even after deep penetration. 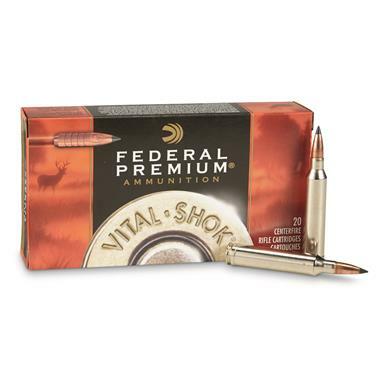 Featuring a polymer-tipped bullet that helps reduce wind drift and bullet drop at longer ranges.